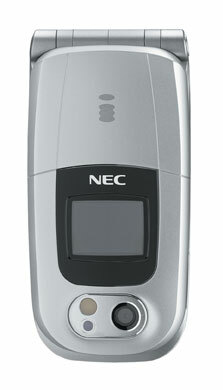 NEC today announced plans to bring out a new phone dubbed the n400i. It will be Europe's first fully compatible i-mode handset that will allow users to shoot and send video clips. Here are the notables: * Two 65,536 color screens - a large 240x320 pixel screen on the inside, and a smaller external 108x80 pixel screen * Integrated MPEG4 video and still camera with LED nightlight The n400i will go on sale in The Netherlands, Germany and Belgium this spring. Pricing has not been announced. To view a larger image of the phone, click the thumbnail.